Some of you know me from FB which I no longer spend time at. Moved over here. I have been working on Keith Sterner's Breda 88. Here's some pictures of where she's at in the build so far. Lots to do still but getting there. Sad to see you leave from the FAC group. The Breda looks fantastic, really nice finish and props. 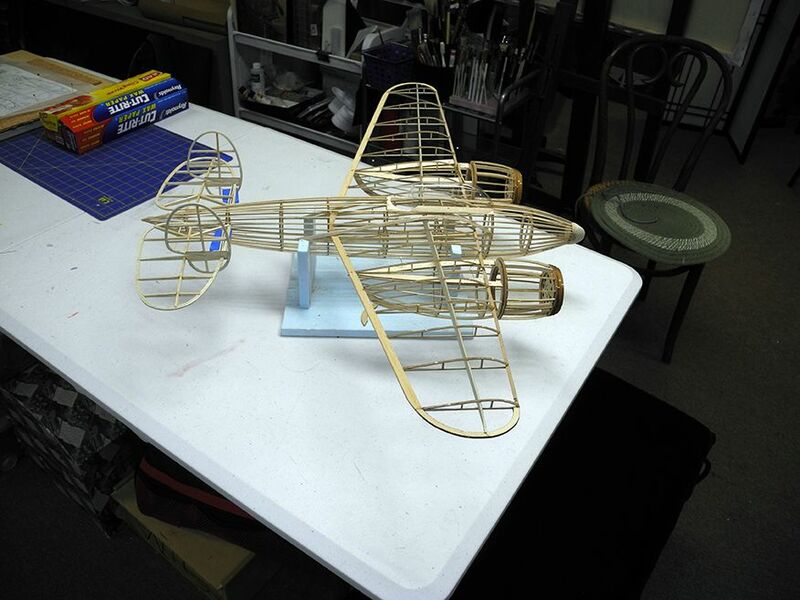 Looking forward to details and seeing it fly! Not too sad answering all the questions about my movie work was taking a lot of my time better spent here with my model plane building. Not that the FAC page did that but my profile page was getting out of hand and just too much drama. But thank you very much for the kind words. The nice thing about this group of fine folks is the only thing that really interests them is..."Airplanes!!". Started the paper thin canopy. I mean this thing is ultra light for a reason. So there was no way to mask it easily and paint it. The solution? I used trim tape for RC model airplanes, stuck it to some clean styrene and painted it. Removed it and applied it to the canopy. I've never done it before but the results are good and it had relief too. Next scoops, exhaust, dummy engines and those machine guns. I will sculpt up some pilots too. Beautiful work Steve. Is the tissue done with an airbrush? Thanks Don yes it was. 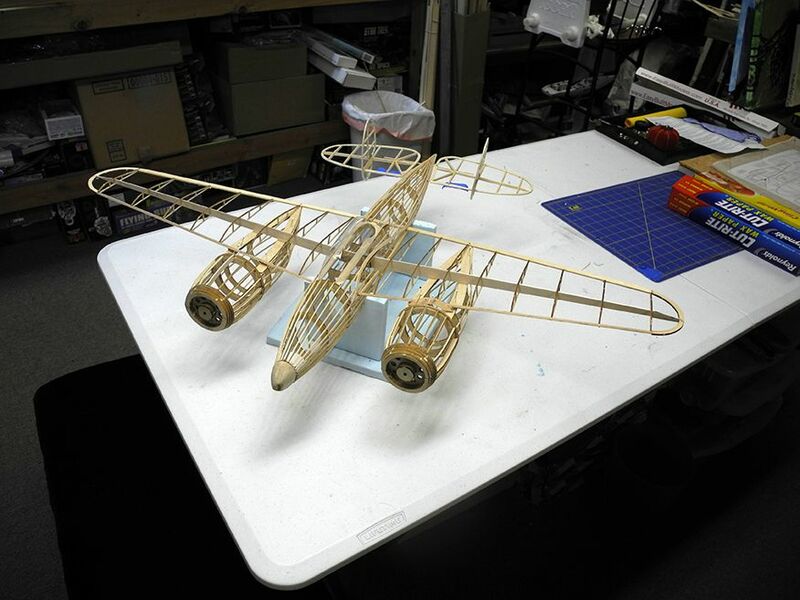 Steve, Welcome, beautiful model, do you have any pictures of the bare bones? Hi Steve! Thanks so much and I do have those pictures of her bones. I have lots more but here's two that will give you the idea. Beautiful model...love the bones shots! Wish I could build that light!!! Me too! This taught me patience I thought I could never achieve. 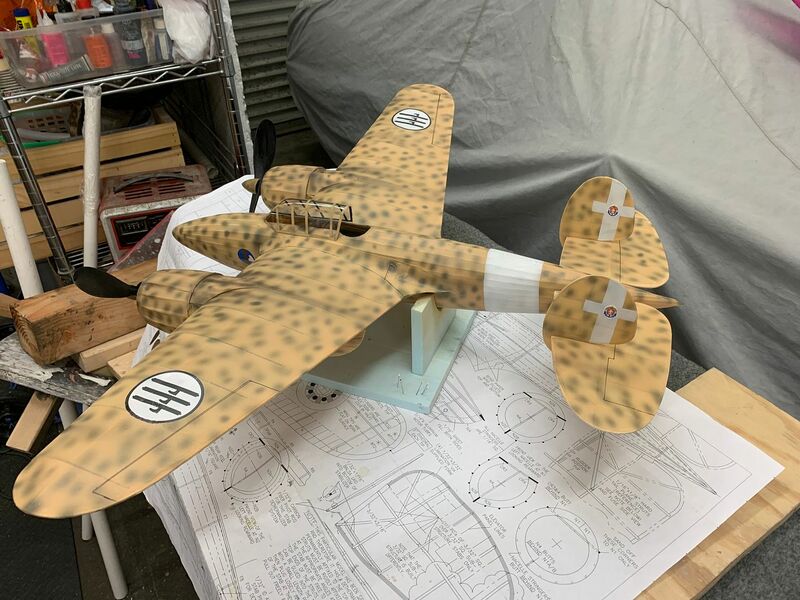 There's a lot more about the build on my FAC Squadron page if you are interested. Until seeing your model I was totally ignorant of the Breda88, stunning looking aeroplane. I think that the designers should have used elliptical wings... then there wouldn't be a straight line anywhere! Steve I never knew of the plane either. 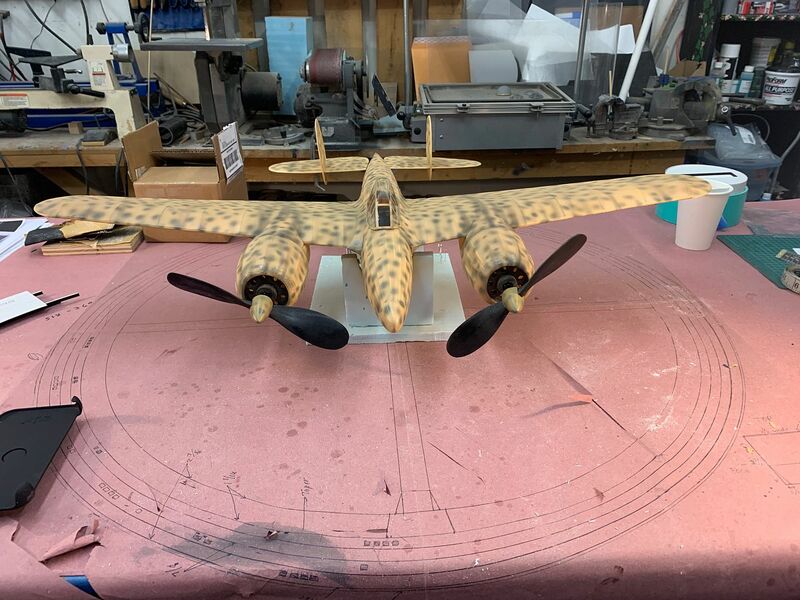 I wanted to build a twin and not another P-38 so many wee building them and then Keith Sterner came along and showed me his kit. I was sold. 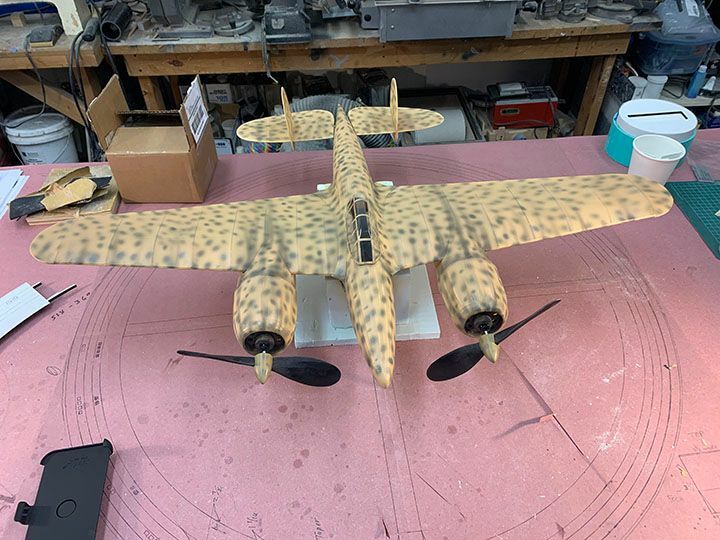 Got the pinners on and painted and yesterday I started adding self printed slide on decals I found to be problematic at best but I managed and painted markings with masks where I could. I'll post those pcs tonight once I finish. Still all those things like machine guns, pilots and scoops to go. A bit more done on the detailing and so much more still to go. Very nice indeed ... any details on the covering and finish. I guess you airbrushed it? Hmmmmm....... just caught up with this and a bit of a gem, I do declare! So I suspect you have done a bit of this before then? Thanks for the pictures of the “bones” particularly - always find them so interesting and they do show the delicacy of the workmanship. Thank you both very much. Yes she is delicate but once covered pretty strong. I used Silkspan lite and bit more robust than Esaki tissue and a goes on wet a bit easier. Airbrushed her with Model Masters Acrylics Tan and RLM. Markings came on the CD with the kit from Keith Sterner. I printed them on water slide paper decals and some of it masked and airbrushed. It's true I have been modeling for a very long time. 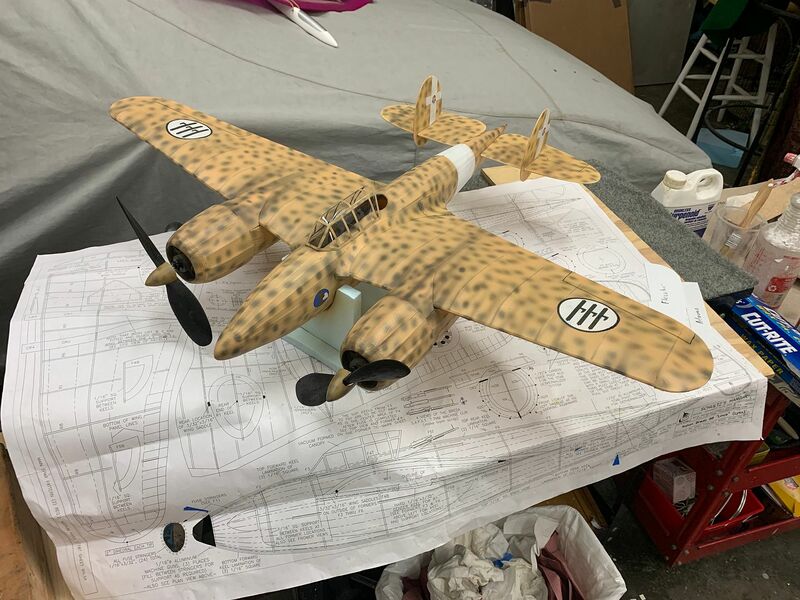 Professionally in the movie industry and scratch building, kit making from sail boats to submaines. By the chuff - that is really entertaining- come on are you really from this planet because you seem to have super powers! .....and you only had to mention who's kit it was once!